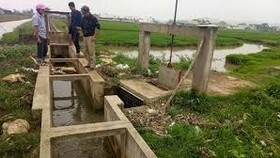 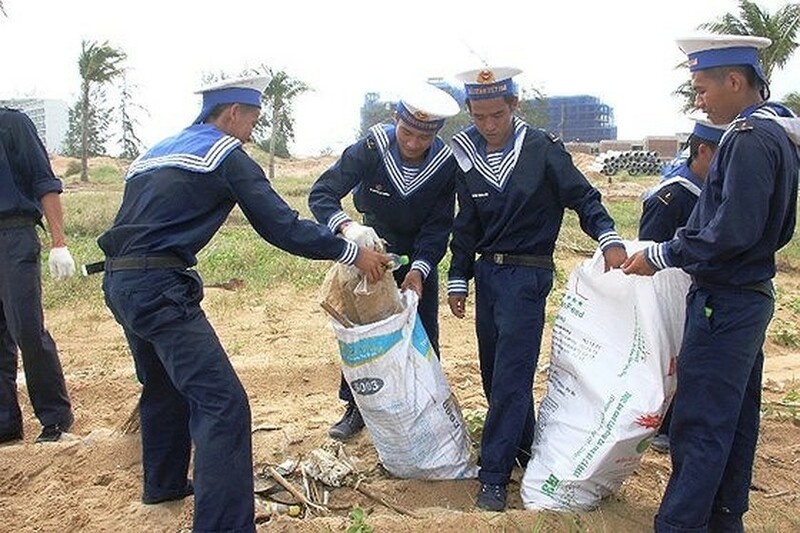 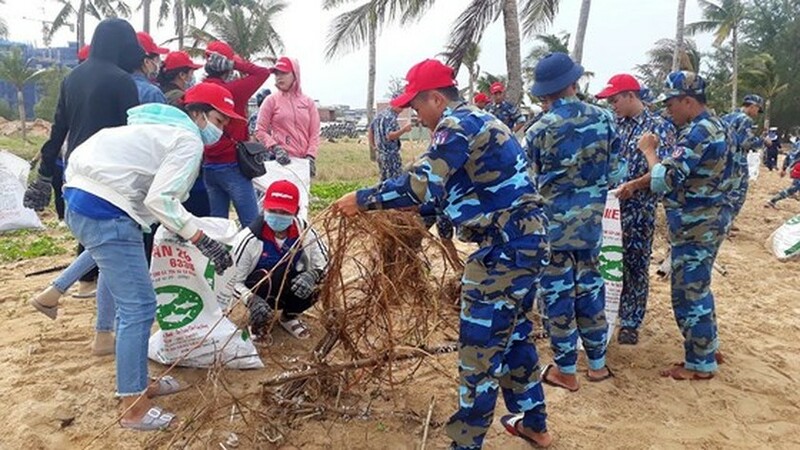 A sea cleaning campaign has been launched on Phu Quoc island in the Mekong Delta province of Kien Giang on July 28. 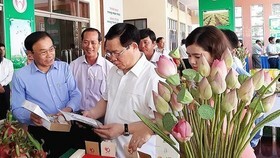 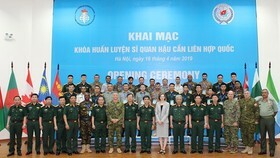 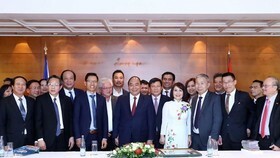 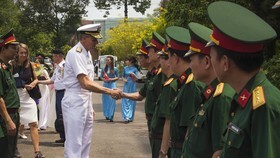 The event co-organzied by the Central Committee of the Vietnam Youth Union, the National Volunteers Centre, the Vietnam Television, the Ministry of Public Security, and the US Embassy runs until August 31. 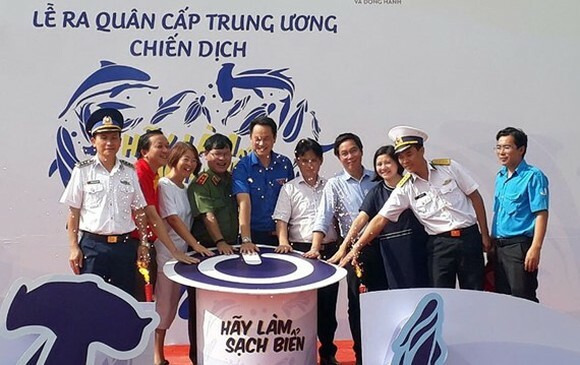 The event aims to raise the people’s awareness for the importance of the seas and oceans to the human life and call for action to preserve and protect the marine environment as well as encourage local fishermen to continue maintaining their legal fishing activities. 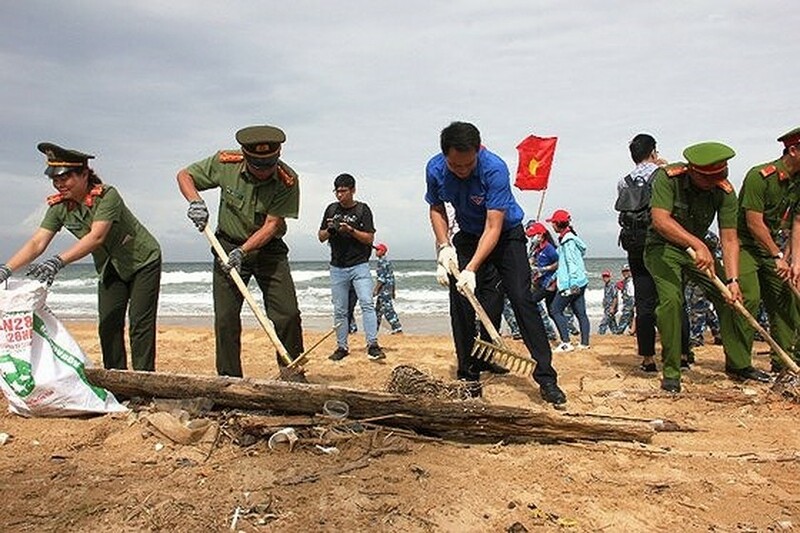 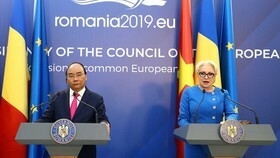 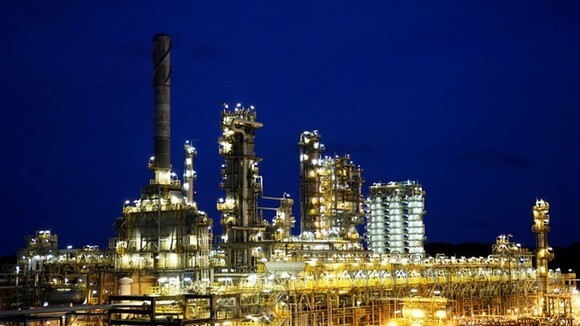 This year’s campaign is expected to attract 28,000 participants,establish volunteer groups to protect the ocean and the environment, reduce pollution by up to 50 percent and having at least 50 ocean-cleaning initiatives. 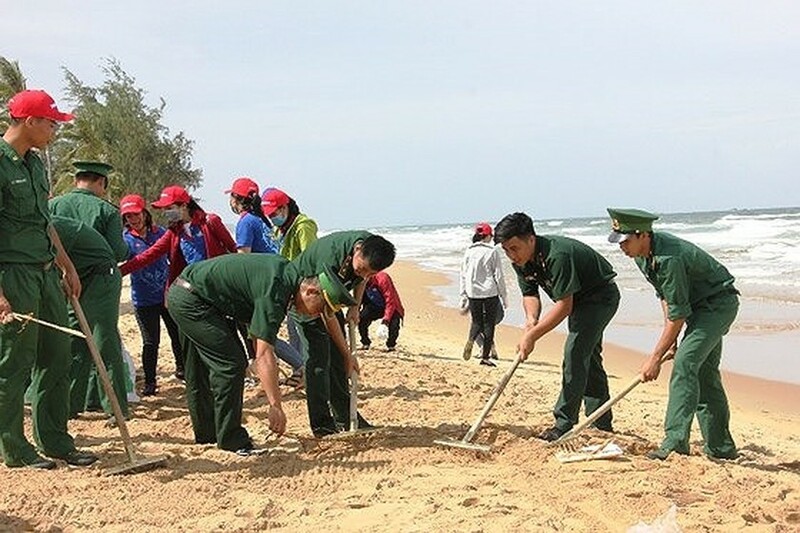 Participants take part in a beach clean-up in Phu Quoc.